The Soulwrest unique staff allows us to make a build around the rarely used Phantasm minions. These minions are summoned when you consume corpses, meaning every time you use an Offering skill, or walk over corpses with Bubonic Trail, you will raise a new set of Phantasms. They are great when it comes to clear speed, but lack a bit in single target damage output, which is why we also make use of Summon Skeletons. Using a Staff means you have access to two 6-Links, one for Phantasms and one for Skeletons, which results in great amounts of damage in the endgame. The build achieves over 200% increased Maximum Life, which is very respectable for a summoner. It has enough damage to deal with the endgame content the game has to offer. Soulwrest is the only item you need in order to get started, and although it might be expensive in new leagues, its cost drops over the course of leagues. This is why the build is not a great league-starter. Other items can be simple Rares, with the option to invest in more specific gear pieces later on for better survivability and offense. Offensively, every time you enter a new zone all you need to do is Desecrate on the ground and use your Flesh Offering, or whatever Offering skill you choose. Once you’ve consumed corpses with this gem setup, you will summon your Phantasms, and then you can start moving forward and let them do the work. If you have Bubonic Trails equipped, you can keep your Phantasms up simply by walking over corpses of slain enemies, but you will have to occasionally use your Offering skill anyway. When you encounter tougher enemies, summon your Skeletons, which will obliterate the foe with their powerful single target hits. Defensively, staying behind your army is what you should be doing. If your minions get stuck somewhere, use Convocation to recall them on top of you. Flame Dash will help you dodge lethal game mechanics. When properly geared you will easily achieve over 6,5k Life in the endgame, which will allow you to take big hits before going down. For playstyle, raise up your Phantasms and move forward. If the zone is not that dangerous you can stay offensive and run next to monster packs and re-summon your army with Convocation. If the area mods are “rippy” (likely to kill you suddenly) keep your distance and summon a set of Summon Skeleton here and there in order to clear smoothly and block projectiles. Invoker brings good utility to the build and is the only way to path to Bone Sculptor, which makes your Skeletons extremely powerful, simply because it removes their chance to miss their attacks. In addition to this, you summon two additional Skeletons, which are faster and hit harder. Mistress of Sacrifice will allow your Offering skills to affect you at 50% effectiveness, which will let you move faster via the Flesh Offering, or provide additional survivability in hairy situations via Bone Offering. Flesh Binder is chosen since we pick all the nodes on the tree that provide additional maximum Zombies anyway. Zombies act as a great “meat-shield” for the build, are very tanky, and improve our single target damage even further. With Flesh Binder you also gain a considerable amount of physical damage mitigation, which the build lacks anyway. Note: Based on personal preference, you can replace Mistress of Sacrifice and Flesh Binder with whatever you like. This is the endgame passive skill tree for the build. We focus on picking almost all of the minion nodes, decent percent increased maximum Life, skill effect duration, Life regeneration, flask nodes, and 5 jewel sockets. Considering the build does not benefit from helping any specific bandit, we choose to kill them all for the two additional passive skill tree points. Major: Soul of Lunaris will give you immunity to damage from chained projectiles. Projectile chain mods on map can be lethal to most summoners. In order to upgrade the Pantheon power you need to kill Ambrius, Legion Slayer in Colosseum Map while you have Divine Vessel in the map device. Minor: For minor god powers there are many valuable choices, we recommend Soul of Ryslatha for the additional Life flask sustain. Capture Gorulis, Will-Thief in Infested Valley Map to upgrade the Pantheon power. Other minor Pantheons can be chosen based on personal preference. The Soulwrest unique staff will allow you to utilize Summon Phantasm on Kill Support in order to clear efficiently; the staff does not need to be 6-Linked, only 6-socketed. For mobility, use Flame Dash. Vaal Summon Skeletons will improve your single target damage by a great amount. Raise Zombie is another minion that can be utilized to great success. Raise Spectre will allow you to raise Silverback monkeys from Act II, which will provide Frenzy charges for your minions. We use Summon Phantasm on Kill Support in order to raise the maximum number of Phantasms from 10 to 20, essentially doubling your damage. We recommend two different gem setups depending on if you are clearing or aiming to deal maximum single target damage. You can have two different Soulwrest and simply weapon-swap for the different setups. Vaal Summon Skeletons are used for one purpose, doing insane amounts of single target damage. Raise Zombie should ideally be used in a rare Elder-based Helmet with additional minion gem levels. Depending on the Elder mods you can use different support gems. Here is a generic Raise Zombie link you can use in a regular helmet. For Raise Spectre, you should raise a Silverback monkey from Act II. Linking this Spectre with Blood Magic Support will allow it to use its Frenzy charge generation skill frequently. For a Golem, we recommend Summon Chaos Golem or Summon Stone Golem for the additional defense. For mobility, you should utilize Flame Dash. Auras like Vaal Haste, Hatred on Generosity Support or any other buff that reserves mana can be used. Other useful utility gems: Desecrate, Convocation, Flesh Offering, Bone Offering, Spirit Offering. Capping your elemental resistances is essential and it should always be your top priority in any build; it should be the first thing you do when gearing up a character. Obtaining a 6-link, while very powerful and certainly recommended, can potentially be very expensive (requiring an average of 1500 Orbs of Fusing, obviously depending on your luck); as such, this should not really be a goal for you while gearing up, and you should instead settle for a 5-link until you have enough resources. The Soulwrest staff will allow you to now worry about your main 6-Link, since you only need to 6-socket the staff. The main purpose of the build is to make use of the Soulwrest unique staff, which is irreplaceable. Half-instant Divine Life flask should be used, preferably with Bleed removal Suffix. Silver flask will improve your overall speed. Based on personal preference, you can run any utility flask you want. We recommend having at least Basalt. Taste of Hate can improve your physical damage mitigation even further, but can be very expensive and you should not focus on it too much. Make sure you have Curse and Freeze immunity rolled on your utility flasks. Violent Dead will make your Raise Zombies even stronger and more viable. From Dust will allow you to summon 5 Skeletons instead of 3 with a single cast. Besides that, you should focus on rare jewels. You can level the build by using a combination of minions early on. Summon Raging Spirit and Raise Zombies will carry you up until you are ready to ascend into Bone Sculptor, then Summon Skeleton will easily carry you until you are ready to equip the Soulwrest staff. This passive skill tree will carry you through the leveling content easily. You should first rush to minion nodes like Lord of the Dead, Spiritual Command, Sacrifice and Grave Intentions, which should be enough for you to sustain and make great use of Raise Zombies. Then you can go for more Life or minion nodes, depending on what you feel you are missing. As you begin a new character, there are few unique items that can boost your power exponentially. Tabula Rasa allows you to have a 6-Linked skill as early as you get the gems. Wanderlust gives a decent movement speed, which will make your leveling that much more efficient. Goldrim provides a lot of elemental resistances, this will let you worry less about gearing when approaching certain Act encounters. Matua Tupuna, Mark of the Red Covenant and The Baron can make your leveling experience way easier. You should also carry the Raise Zombie socketed in your gear in order to level the gem. At level 4, you should pick Summon Raging Spirit in order to level the gem. At level 8, you can drop your Freezing Pulse link and start using Summon Raging Spirit instead. At level 10, you should add Flame Dash for additional mobility. You should also pick Summon Skeleton in order to level up the gem. At level 12, you should pick Flesh Offering. At level 24, you should pick Convocation. Around that level you should also be able to sustain your Raise Zombies. Using a Violent Dead jewels at this point is also recommended. What map mods does the build struggle with? Chain and No Regeneration are tough, but manageable. 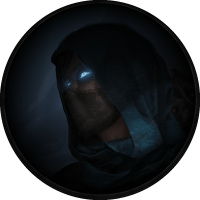 With the Soulwrest Necromancer you will be able to raise a great army of the dead, which will aid you to bring down your toughest foes. 14 Apr 2019 Build added.